Embark on a relaxing journey to some of the most beautiful places on Earth all while playing the classic game of Mahjong. Enjoy a soothing stroll through dazzling locations around the globe in World's Greatest Places Mahjong, a pleasant game of tile matching. Embark on a relaxing journey to some of the most beautiful places on Earth all while playing the classic game of Mahjong. Can you master all seven different variations of the game? Enjoy clearing tiles in classic, swap tiles to make matches in Swap, locate the matching pair in Pair, and find the two corresponding tiles in Logic, plus three other unique versions. Each offers a tantalizing challenge filled with special power-up tiles, unlimited hints, and helpful shuffles. Featuring two play modes and filled with beautiful scenery plus relaxing music, this is one Mahjong game that will leave you breathless. 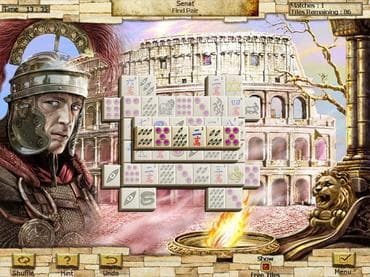 Download free game today and play 240 different layouts while visiting the Roman Coliseum, the Taj Mahal, and other magnificent sites. If you have questions about World’s Greatest Places Mahjong game, please contact us using this form.